The year was 1911. It was an exciting time throughout the world when anything seemed possible. Over 2.5 million people lived in California. Governor Harim Johnson won election after campaigning by auto and the Bear Flag was adopted as the official California State flag. Cities and towns throughout the Bay Area were busily preparing for the 1915 Panama Pacific International Exposition. Exciting things were happening in the southwest part of Alameda County, as well. 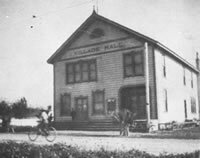 In one room of the renovated fruit drying facility at the corner of Main Street (Lewelling Boulevard) and 2nd Street (Usher Street) that served as the Village Hall, the San Lorenzo Library opened for circulation. It had 100 books on its shelves. In six months, the library had 120 regular borrowers. Although still largely rural farms, the landscape of the area was also beginning to change. Large farms and estates were being subdivided and sold for individual home sites. Along Grant Avenue, the Heidi farm was divided into ten-acre parcels. The great 2,000-acre Meek estate was also being divided and sold. The old cherry orchard would soon see new growth – a housing development aptly named Cherryland. Modest homes were being built for $1,500. The much more elaborate Burr house on Groveway featured 12 rooms on two floors, a full basement and attic, a butler’s pantry, and hardwood floors throughout. It sat on 11 manicured acres and cost $15,000. With a growing population building new homes on smaller lots, community leaders saw the need for a public sewer system. The petitioners were from diverse backgrounds. Some were doctors, some were farmers, and some petitioned with an X because they did not know how to write. Collectively, they worked together for a common cause that would benefit the entire community for hundreds of years. The petition was approved in accordance with a March 31, 1891 Act. 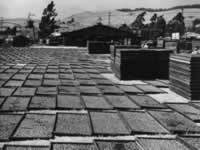 This was: “An Act to provide for the formation, government, and operation of sanitary districts in any part of the State, for the construction of sewers and other sanitary purposes; the acquisition of property thereby; the calling and conducting of elections in said districts…” The sanitary district would include the new housing tracts and be called Oro Loma. The resolution that was passed by the Board of Supervisors required a special election to vote on the formation of a new district and to elect one Sanitary Assessor and five members of the Sanitary Board. The election was to be held on Saturday, September 16, 1911. The site of the election was determined to be a “tent to be erected at the Russell and Kimball Dryer, North side of the Haywards and Oakland Boulevard, about one thousand feet West of the San Lorenzo Creek…” Poling was open from 6:00 a.m. to 6:00 p.m. 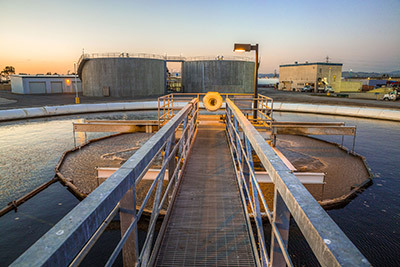 The sanitary district was overwhelming approved and thus began Oro Loma Sanitary District’s long service to the community. The apricot drying facility that served as a poling place is long gone and Haywards and Oakland Boulevard have long since changed their names, but the dedication and forward-thinking that drove those original 29 petitioners still lives on in the Board and staff of the present day District.